MovieKaiser – Movie News, Trailers, Reviews, Release Dates and More! 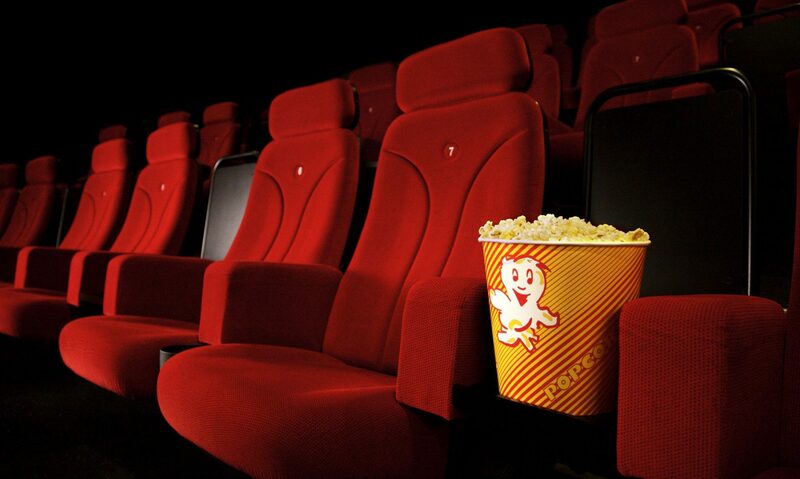 Movie News, Trailers, Reviews, Release Dates and More! Universal Pictures has released a new trailer HOBBS AND SHAW, the upcoming FAST AND FURIOUS spinoff. I’m not a “Fast & Furious” guy. You know how trailers usually have one big “trailer moment” highlighting the coolest bit from the movie? This trailer (and, presumably, the movie itelf) is all trailer moments. And what’s more, it manages to be cheesy even without dumb lines like “Family is the most important thing.” All that being said, is incredibly likely that when this movie comes out, Dwayne Johnson will have successfully stolen the FAST AND FURIOUS franchise from Vin Diesel. It’s going to be hilarious. Dwayne Johnson’s Luke Hobbs and Jason Statham’s Deckard Shaw team up for director David Leitch (DEADPOOL 2, JOHN WICK) for a script by Chris Morgan, the franchise’s screenwriting architect since TOKYO DRIFT. Also starring Vanessa Kirby as Deckard’s sister Hattie, Idris Elba as Brixton, the film’s flamethrower-wielding villain, and Helen Mirren returning as Magdalene Shaw, HOBBS AND SHAW hits theaters on August 2, 2019. Orion has released a new CHILD’S PLAY trailer. The upcoming reboot follows a boy who gets a new Buddi doll, unaware that the doll is murderous. The reboot, which restarts the continuity, follows the long-running CHILD’S PLAY series, which began in 1988 and spawned six sequels as recently as 2017’s CULT OF CHUCKY. The new CHILD’S PLAY movie is unrelated to the ‘Child’s Play’ TV series in development, which will follow the original movies and is being developed by series creator Don Mancini. While this trailer does a decent job at laying out the machine-driven mayhem that is to come, its branding is a little off. The highly advanced dolls outfitted with cutting-edge AI are branded as Buddi, but Andy repeatedly refers to it as Chucky, either a name he gave it himself or one that belongs to this particular model. Gone is the supernatural infusion of a kid’s toy doll with the soul of a serial killer (thanks to a Haitian voodou spell), at least as far as we can tell from this trailer. Instead, it seems that Chucky’s particular proclivity towards violence is caused by a bug in his programming or a ghost in the machine. That’s a strange switch on the original mythology, hammering once again on tired tropes of today’s tech culture, so we’ll see if the new CHILD’S PLAY has any heart among the horror. CHILD’S PLAY opens June 21st and stars Aubrey Plaza, Gabriel Bateman, Brian Tyree Henry, and Mark Hamill as the voice of Chucky. TRAIN TO BUSAN star Ma Dong-Seok joins cast of Marvel’s THE ETERNALS! South Korean actor Ma Dong-seok (TRAIN TO BUSAN) is set to join Angelina Jolie and Kumail Nanjiani in Marvel’s THE ETERNALS. Chloe Zhao (THE RIDER) is directing from a script by Matthew Firpo and Ryan Firpo, and Marvel’s Kevin Feige is producing THE ETERNALS, which is based on the 1976 comic book series created by Jack Kirby. The comic follows super-powered and near-immortal beings known as Eternals and a rival group known as the Deviants that were created by cosmic beings called Celestials. Jolie is likely playing an Eternal named Sersi, while Nanjiani and Ma’s roles are being kept under wraps. THE ETERNALS is one of two Marvel movies that will go before cameras this year along with BLACK WIDOW, which is now slated to star Scarlett Johansson, Florence Pugh, David Harbour and Oscar winner Rachel Weisz. Final DARK PHOENIX trailer marks the end of the Fox X-MEN universe, film due June 7, 2019! Nearly 20 years and 12 films later, DARK PHOENIX looks to bring the era of Fox’s film franchise to a close (who knows what’s ultimately going to happen with NEW MUTANTS). Not only did the film series run out of ideas (apparently, since they’re rehashing the Dark Phoenix Saga again), they ran out of options as Disney swooped in to gobble the property up in a mega-merger. It remains to be see what Disney’s MCU wants to do with their newly acquired X-Men, but for fans of the Fox films, this will be your last hurrah. Enjoy it while you can. Written and directed by Simon Kinberg, DARK PHOENIX stars James McAvoy, Michael Fassbender, Jennifer Lawrence, Nicholas Hoult, Sophie Turner, Tye Sheridan, Alexandra Shipp, Kodi Smit-McPhee, Evan Peters, and Jessica Chastain. See it in theaters June 7th and bid the Fox franchise a fond farewell. Final AVENGERS: ENDGAME TV spot reviews every MCU movie until now, film due April 26, 2019! Marvel Studios and Disney have released a really neat new extended TV spot for AVENGERS: ENDGAME, and the best part is it reveals barely any footage from the new movie. Marvel has worked hard to keep the plot and specifics of ENDGAME a secret (and even some of the characters), so marketing for the film has been rather guarded. Honestly, if you know you’re going to see this movie anyway, why would you want to spoil yourself on even a second of footage? You only get to see this movie for the first time once, so try to make it as special as possible. To that end, this new TV spot—which runs over two minutes in length—revisits every film in the Marvel Cinematic Universe thus far, with a heavy emphasis on heroes Iron Man (Robert Downey Jr.), Captain America (Chris Evans), Thor (Chris Hemsworth), Captain Marvel (Brie Larson), the now-deceased Peter Parker (Tom Holland), the now-deceased Doctor Strange (Benedict Cumberbatch), the now-deceased Black Panther (Chadwick Boseman) and the mostly-deceased Guardians of the Galaxy. I really like this particular marketing angle. The fact of the matter is, fans are so hyped for ENDGAME specifically because Marvel Studios has earned their trust. They’re the most commercially consistent franchise around right now, and seeing as how ENDGAME brings a decade of storytelling to a conclusion, folks are eager to find out how this all ends. So why not lean on the past, build up the history of these characters, and let folks go into the movie having seen as little footage as possible? AVENGERS: ENDGAME opens in theaters on April 26th. Box Office: SHAZAM repeats at #1 as HELLBOY has a devilishly dismal debut! Early box office reports this morning indicate that if you stand perfectly still right now and listen very, very hard, you can actually hear the sound of Guillermo del Toro sipping a hot cup of tea and saying “not that that’s any of my business.” Related: Neil Marshall‘s HELLBOY reboot opened with a less-than-fiery $12 million, good enough for third place. To compare, del Toro’s HELLBOY movies opened in 2004 and 2008 with $23 million and $34 million, respectively. HELLBOY, which saw ‘Stranger Things’ star David Harbour stepping into the big red title role, was held back by a not-great C Cinemascore and pretty hellish reviews. SHAZAM remained on top in its second weekend with another $25 million, bring the latest entry in Warner Bros.’ ever-changing DCEU to $94 million domestically. The Zachary Levi-starring superhero flick is also, unsurprisingly, soaring overseas, where it’s taken in $126 million so far. Coming in second is newcomer LITTLE, which opened with $15 million. An inverse-take on BIG, director Tina Gordon‘s film stars Regina Hall as a hard-headed executive who gets body-swapped back to her teenage self. (Played by Marsai Martin, who is also an executive producer, the youngest in Hollywood history.) Stephen King adaptation PET SEMATARY ($10 million) and Tim Burton‘s live-action DUMBO ($9.1 million) round out the top 5. Meanwhile, LAIKA Studios still can’t find a way to bring audiences in to glimpse its gorgeous stop-motion animation. The studio’s latest, writer/director Chris Butler‘s MISSING LINK, opened to $5.8 million, landing in ninth place. Check out the weekend’s top 10 estimates below, and be back here next week to see if THE CURSE OF LA LLARONA can scare up any big business. STAR WARS: THE RISE OF SKYWALKER trailer is the first look at the final chapter, film due December 20, 2019! Disney and Lucasfilm have released the first trailer for the highly anticipated concluding chapter of the new STAR WARS trilogy. 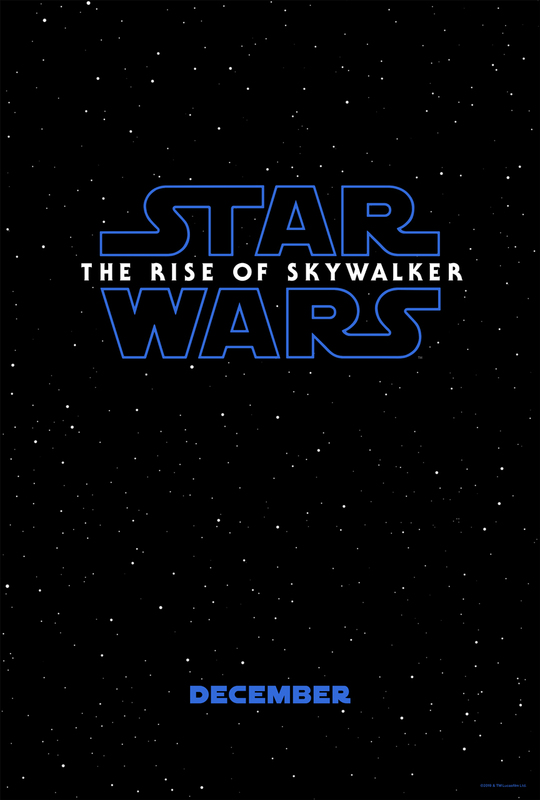 The title for the new film is STAR WARS: THE RISE OF SKYWALKER. It all began in 2015 with STAR WARS: THE FORCE AWAKENS, in which screenwriters J.J. Abrams, Lawrence Kasdan, and Michael Arndt concocted a brand new STAR WARS story in which the galaxy is under threat from the Empire-like First Order, Han and Leia’s son Ben (aka Kylo Ren) is the next Sith lord in line to take up the evil throne, and a young orphan named Rey (Daisy Ridley) displays immense Force powers. We know pretty much nothing about the story for what is expected to be the final chapter in this new STAR WARS trilogy, but Abrams co-wrote the script with Oscar-winning ARGO writer Chris Terrio and is back in the director’s chair. In August 2015, before THE FORCE AWAKENS had even been released, Lucasfilm announced that JURASSIC WORLD helmer Colin Trevorrow would co-write and direct EPISODE IX. Trevorrow worked on the screenplay with his frequent co-writer Derek Connolly for a couple of years, but in September 2017 it was announced that Trevorrow was leaving the film over creative differences. That’s when Abrams took over and rewrote the script from scratch. This teaser trailer begins with Luke Skywalker (Mark Hamill) voiceover noting that this is Rey’s fight now, and she’s going to have to use all her skills at her disposal to bring down Kylo Ren (Adam Driver) and the First Order. The cast is anchored by Original Trilogy actors Hamill, Anthony Daniels, and Billy Dee Williams, with Carrie Fisher appearing posthumously using footage that ended up on the cutting room floor from THE FORCE AWAKENS. Also returning are John Boyega, Oscar Isaac, Lupita Nyong’o, Domhnall Gleeson, Kelly Marie Tran, Joonas Suotamo, and Billie Lourd, with Naomi Ackie, Richard E. Grant, Keri Russell, Matt Smith, and Dominic Monaghan marking new additions. And yes, John Williams returns once more to compose the score. STAR WARS: THE RISE OF SKYWALKER opens in theaters on December 20th.